At the annual meeting of the National Association of State Departments of Agriculture in Hartford, Conn., on Tuesday, members passed two items which reaffirm the critical importance of international trade to the organization. 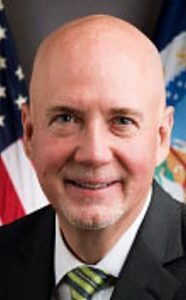 Introduced by Washington Director of Agriculture Derek Sandison, the items focused on the critical need for export markets for American agriculture as well as reaffirming the importance of the World Trade Organization and dispute settlement, NASDA said in a news release. Sandison is also chair of NASDA’s Marketing & International Trade Committee.